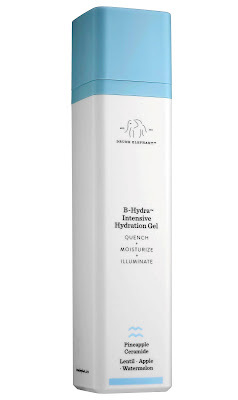 B-Hydra™ is like a cool glass of water for your thirsty skin. Uniquely formulated with provitamin B and pineapple ceramide, it attracts and holds moisture to leave skin looking healthy and illuminated. Watermelon rind/apple/lentil complex provides up to 24 hours of hydration and significantly reduces the appearance of fine lines. Swertia chirata extract supports the appearance of skin thickness, and bearberry extract naturally brings antioxidant and skin-lightening properties to the formulation. Finally, sodium hyaluronate crosspolymer soaks in easily to provide unsurpassed moisture through the slow delivery of water. It also acts as a powerful antioxidant. This lightweight, hard-hitting gel is ideal for all skin types and maximizes the benefits of a daily moisturizer. Drabness, dryness, uneven texture, and fine lines appear diminished, and skin appears brighter and more youthful upon every application. B-Hydra is formulated with molecular size and pH level in mind to penetrate the skin without disrupting the skin’s balance. Drunk Elephant formulations only contain ingredients that benefit skin health and assist the formulation, keeping them safe and making them ideal for even the most sensitive skin. The brand is a supporter of IEF (International Elephant Foundation). Pro tip: vitamins B5 and C work together to deliver a load of benefits, so mix with D.E. 's C-Firma first thing in the morning. It can also be added to Umbra sunscreen for additional sheer luminosity. When combined with with Virgin Marula Oil, it creates an addictive blend that attacks dryness and dehydration from every angle. And don't forget to try mixing with foundation for extra glow and ease of application. You'll be reaching for it multiple times a day.